I love pink as well, amazing cap! Pink always rock nice selection. The top is basic!! I want it! Amazing pieces, I love pink! I just love pink ! I adore pink! Lovely clothes and cool pink heels! Lovely selection Shaira! I love pink! I also have a soft spot for this colour! LOVE the bow heels and mini skirt. Love pink so much as well, especially when it is in this lovely dusty rose shade. Love these picks as well! Especially that beautiful scarf! Oh I love total pink! Love this color too! The cat scarf is so adorable! Love these!!! That handbag is so beautiful!!! Love the heels! So cute! I am not a huge fan of pink, to be honest, but these picks are absolutely beautiful and chic! 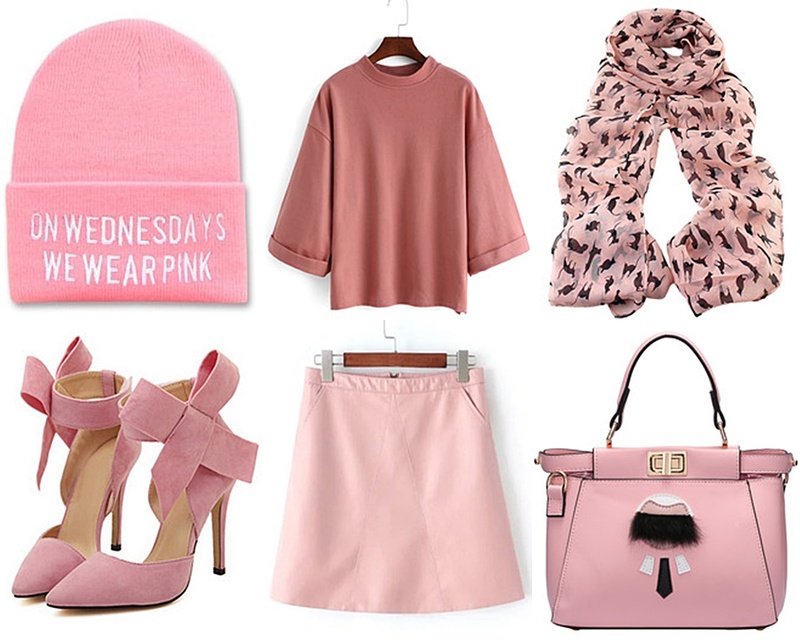 I bet that pink beanie or scarf would make any outfit stand out:) Hope you are having a nice week, Shaira! I love pink! These shoes are super cute! I have that scarf, and I love it! Pink is my happy color too! I love all of these, especially those pretty bow pumps. Totally agree! Pink is the happy color indeed! Is beauty this color! I would a pair of rose stilletos in my life! Beautiful selection, I love pink color! Gosh, I must be the only female who dislikes pink in general. LOL! I do adore the pair of heels, gorgeous!